The 2016/17 campaign for Tranmere was one of heart ache on more than one occasion for the Super White Army. Having missed out on a trip to Wembley for the FA Trophy having been beaten by Macclesfield Town over two legs, Rovers made it to the national stadium for the play-off final, only to be denied a place in the football league by Forest Green. However, 2017/18 had the potential to be one of jubilation for Tranmere. Installed as early favourites to gain promotion and win the league, the bookmakers made it out to be an easy season for the Birkenhead club. As it stands, the ‘bookies’ couldn’t have been more wrong. Despite a positive start picking up four points from the opening two games, a draw against Torquay United and a victory against Woking respectively, Rovers then went on a barren run of picking up just 2 wins in their next 10 games. The lowest moment for the club and fans came during the hotly anticipated home fixture against Wrexham, which the Welsh side won by a goal to nil despite playing 77 minutes of the match with only 10 men. Languishing in a pitiful 18th place in the league and only 2 points above the relegation zone, the Wrexham result has seemed to be the proverbial ‘kick up the backside’ the club so greatly needed. Since then, Rovers have picked up 7 points out of 9 in the Vanamara National League and advanced to the 1st Round of the FA with a victory over Halifax Town setting up a tough tie with League One outfit Peterborough United. 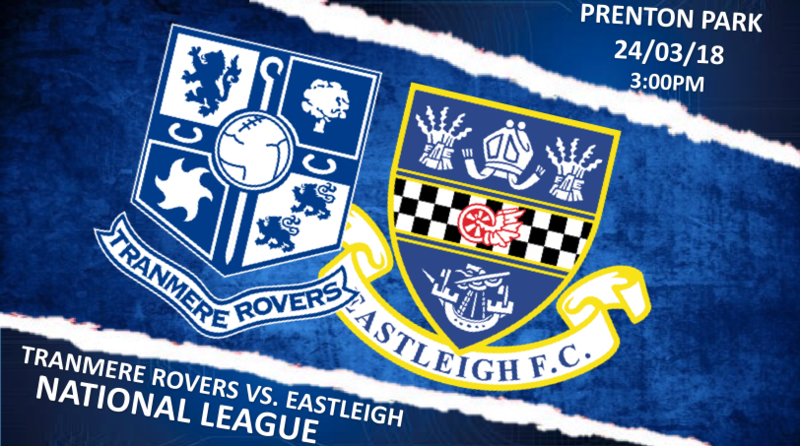 The Super White Army travel to Aldershot Town next looking to carry on this resurgence and finally find that form that will lift the Rovers from the mid-table obscurity they currently find themselves in.